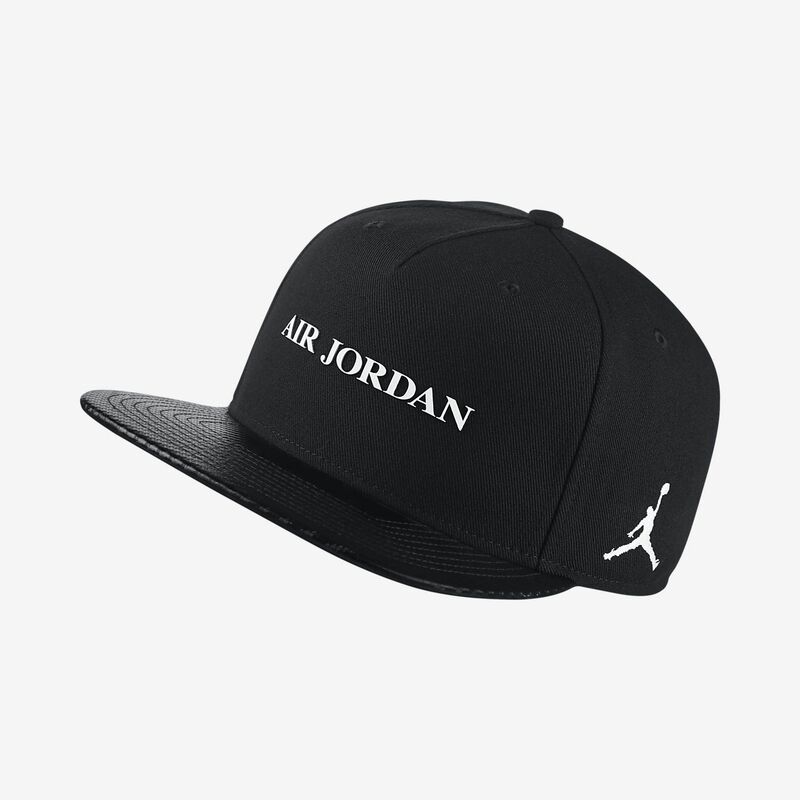 The Jordan Jumpman Pro AJ 10 Adjustable Hat features signature details on a high-crown, flat-bill design. The snapback closure provides a custom fit. Fabric: Body/underbill: 100% polyester. Back of front panel: 92% polyester/8% cotton. Upperbill: 100% artificial leather polyurethane. Do not wash. Clean with a damp cloth as necessary. Have your say. Be the first to review the Jordan Jumpman Pro AJ 10.